GPX-4500 is a creation worth its weight in gold! The GPX-4500 is the ultimate gold finding detector with the new added features that makes it stronger and more versatile than ever before. Incorporating new SETA technology, it is quieter and more immune to interference, so that it is a real pleasure to use. No matter if you've never picked up a detector before, the GPX-4500 has automatic functions and pre-set Search Modes that make you an expert in a matters of moments. 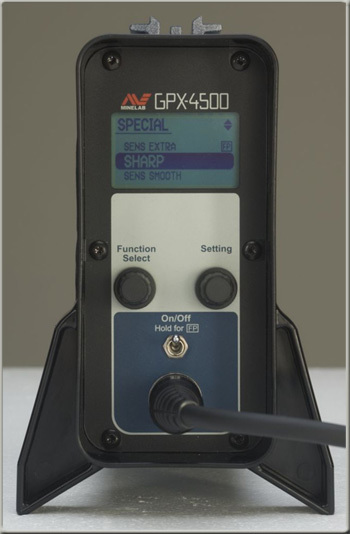 Quieter threshold, louder target signals, improved discrimination, and more versatile, the GPX-4500 is the gold detector that gives the best results. NEW TIMINGSso the GPX-4500 is even more versatile. Users of the GPX-4000 have learnt just how valuable it is to have a range of timings available, to optimise the performance of the detector in various conditions. The GPX-4500 introduces two new timings, Enhance & Sharp, in addition to the four found on the previous model. The new Enhance timing is a powerful feature, similar to the Sensitive Smooth timing, but provides an improvement in the depth and signal response on small and large targets alike. The Sharp timing is more suited to the quieter soils and provides the most powerful detection field of all the Soil/Timing options. The Sharp timing can also be used as an aid to pin-pointing faint signals. Increase in Audio Gain. The design of the amplifier and the use of the high-quality low noise components ensure the signal response is clear and crisp, without the added background hum of some boosters. The GPX-4500 offers a number of pre-programmed search models which allows you to start detecting right away! In addition to the General and Deep search modes is the Custom mode, which gives you access to four other search modes specially selected for specific techniques. These are Hi Mineral; Hi Trash; Patch and Test A modes. All 6 search modes can be modified with your favourite settings, and the Custom modes allow you to select your own mode name. GB OFF for neutral soils. In addition to normal and specific ground balance options, a third option is now available. In GB Off the ground balance circuit is by-passed to give extra deep detection. This is a useful feature in very benign low mineralised, or salt saturated soils. This setting will also work well for treasure or relic hunters in loam or sandy soils. so you can read the LCD menu in any light, day or night. The backlight has adjustable time-out to preserve battery life. for the smoothers threshold. The stabilizer function is a fine tuner that gives the operator full control over the threshold stability. It is tied in with the audio processing circuit, so should be used in conjunction with the four Audio Type options. In quiet conditions, increase the Stabilizer control and faint target signals will be more obvious. Turing it down will provide you with a smoother threshold, improving your ability to pick up the faintest of signals. In addition to the Volume Limit control, which prevents signals from being too loud, the new Target Volume allows you to increase the strength of softer target signals. This is useful for very windy conditions, for people suffering from hearing loss, and to adjust the audio volume when using external speakers. The Target Volume can also be used as an audio boost in mild soils, and can be used to reduce or smooth out ground noise signals in highly mineralised soils. This is a powerful feature, and will work in conjunction with the Stabilizer control, giving you the ultimate in fine tuning ability. that gives you access to the worst of trashy ground. When detecting in a high-trash area like a mining site or a campground, the Iron Reject function allows the operator to set the desired level of discrimination, from cautious to aggressive. This combined with the specially programmed Hi Trash search mode makes areas of extreme junk well worth a search. Also great for the specialist Relic and Jewellery hunter who demands the best, and wants to recover the smallest and deepest targets invisible to most treasure detectors. so you can hear soft target signals from deeper nuggets, more easily.The newly designed Li-lon battery pack now has an audio amplifier built in, allowing you to use an external speaker, without the need for any external booster. Its uses smart circuitry, which automatically senses a correctly wired speaker, and applies an increase in Audio Gain. The design of the amplifier and the use of high-quality low noise components ensure the signal response is clear and crisp, without the added background hum of some boosters. 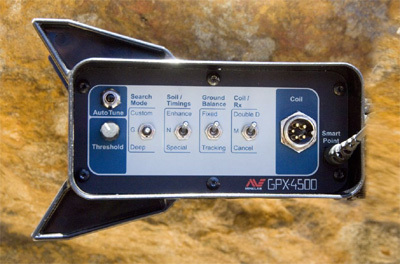 The GPX-4500 now offers a total of six timing options to suit different detecting conditions. Previous GP series detectors operated using one universal alignment suitable to all their timings. With so many different timing options packed into the GPX-4500, it was no longer possible to rely on a single alignment, and so the Smart Electronic Timing Alignment or SETA concept was born. SETA automatically sets a precise alignment for each Timing option. What this means is that in each timing, noises caused by magnetic interference will be minimised, the threshold will remain more stable, and signals from highly magnetic rocks will be significantly reduced. 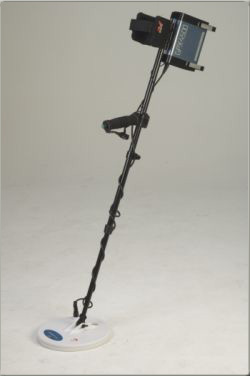 This allows you to harness all the power of the GPX-4500, and operate it more efficiently under different conditions. A bonus of SETA technology is that the ground balance setting of each timing is also saved, so if you are switching between timings when investigating a suspected target signal, you wont have to continually re-ground balance the detector. 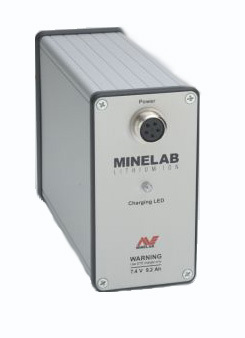 For a mere 768g, Minelab's newest lightweight Lithium-Ion batteries hold their charge at almost full power for hours more than conventional batteries and will operate the GPX-4500 for up to 12 hours. The intelligent charging system is self-contained in the robust yet lightweight aluminium housing, offering very rapid recharge times of 4 to 5 hours, from either the 12v vehicle or MainsGPX-4500_battery adaptor. Best of all, the available power of the battery can be tested at any time through the LCD display on the detector. Included with the GPX-4500 is a new and improved battery harness, now with thicker straps and a reinforced padded belt, for improved support and a more comfortable fit. The GPX-4500 with modified endcaps, now allows for full control box adjustability, to improve balance when using smaller or larger coils. Designed to handle the rigours of the goldfields, the GPX-4500 is supplied with a longer power cable, a thicker outer sheath and over-moulded plugs. A great family hobby for beach, park, or anywhere. Find jewelry, gold, and more. 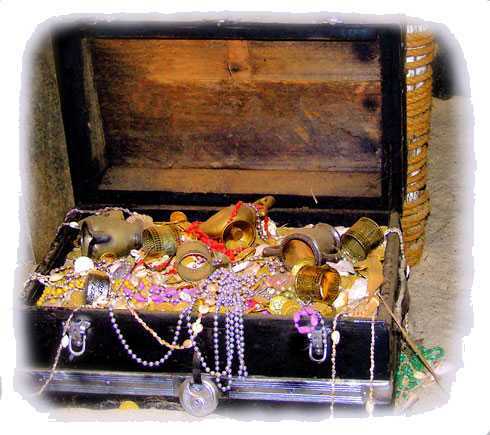 Gold Country has been named one of the US ten top destinations for 2012 by Lonely Planet, so come see Big Valley to start your treasure hunting trip off right!